You can rewatch the original Canadian trailer for Tough Guy: The Bob Probert Story here, for more footage. Archival footage and personal testimonials present an intimate portrait of the life and career of legendary NHL tough guy Bob Probert. From Deadline: "NHL star Bob Probert, one half of the 'Bruise Brothers,' was widely considered one of the toughest and most violent ice hockey players of all time. His role as the hard-hitting enforcer of the Detroit Red Wings and Chicago Blackhawks, as well as his hard-living ways and death at age 45." Tough Guy: The Bob Probert Story is directed by doc filmmaker Geordie Day, who previously co-directed Goalie, a film on former NHL goaltender Clint Malarchuk; and also produced Charles Manson: Final Words. The film premiered in Canada late last year. 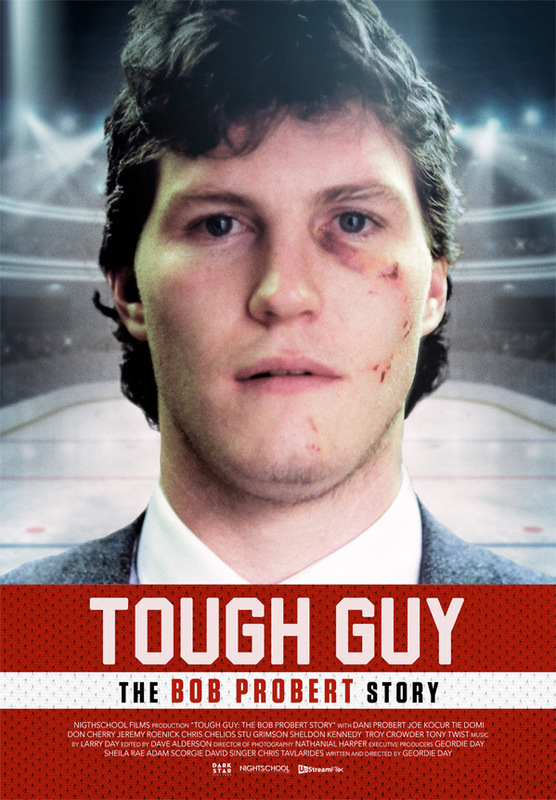 Dark Star Pictures will release Tough Guy: The Bob Probert Story in select US theaters starting April 12th this month, arriving on VOD starting May 7th.